The title and the cover say so much about this album, as it comes from the hearts of the writers who have experienced great depths of anguish. The depths of which only an amazing God could you pull you out of and help you rise above. Those experiences translate into song on “God That Saves.” The title track speaks of being “rescued” and “grace,” two of the strongest characters of a God that cares for His people. 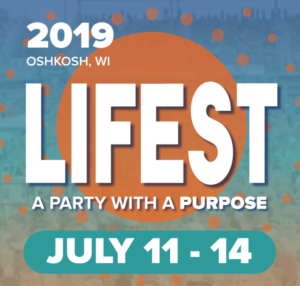 Their debut project contains 11 new songs recorded live at one of their favorite venues known as “the barn.” The live recording gives it a more personal feeling that I like in a worship album. I can more easily connect to songs that I hear coming more from the heart than the console. 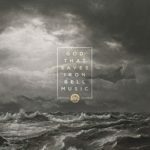 I think with the personal testimonies and the apt ability to write and create vertical worship, Iron Bell Music has a favorable ministry in front of them. For more on Iron Bell Music check out https://ironbellmusic.com/ and in the meantime be listening for the title track as it is already spinning up the charts. So often, because of misplaced priorities, it is human nature to think that people that are successful and culturally popular have not problems/worries. 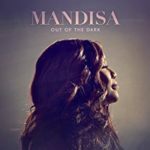 It is also uncommon that someone with celebrity status is transparent enough to let the public in on his or her darkest days in such an open way, but Mandisa is the opposite of all that is common. Having found herself suffering greatly from depression, she now shares publicly her struggles with depression through song. The lyrics are so uplifting and incredibly personal; there is no doubt that God is going to use Mandisa to speak to many hearts. There is such encouragement in songs like “Unfinished” and “I’m Still Here.” She also speaks of social issues on “Bleed the Same.” This is a very meaningful song for the church in this challenging time in history. The new project also comes with a few guest appearances, with TobyMac and Krik Franklin on the aforementioned “Bleed the Same,” and the energetic Brit Nicole on “What You’re Worth.” Lastly, Jeremy Camp also appears on “My First Love.” Jeremy has a unique testimony himself and I think that adds a lot to the overall meaning of the song. The deluxe version is 18 tracks long, with a couple of those being short interludes that help tie all the songs together, as well as some recorded messages (“Voicemail Intro”) that she shares as a reminder of how others deeply care for you when you most need it. “Out of the Dark” is a deeply transparent and relatable project sure to encourage others and serve as a reminder of how much God’s love can lift us up.